Do you feel like drama comes along with your stepchildren? Do you ever think to yourself: if my stepkids weren’t here, I wouldn’t have to deal with their mother? 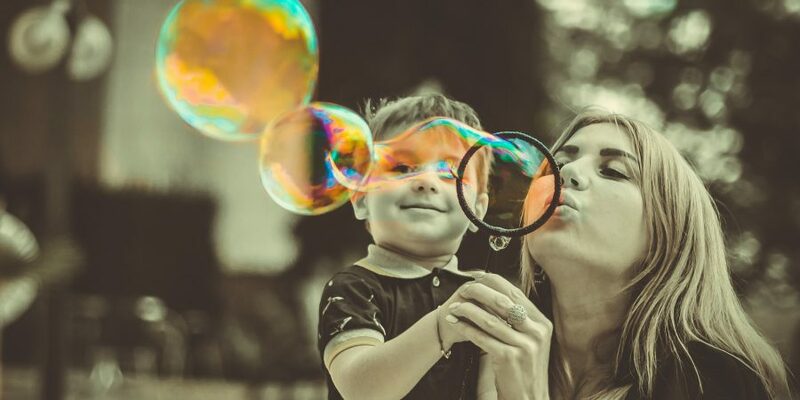 If you’re dealing with a high conflict biological mom, you might have trouble separating those negative feelings you have for bio mom from the feelings you have for your stepchildren. You could have difficulty connecting with the children because you feel like they are an extension of her. However, don’t let those negative feelings taint your relationship with your stepchildren. Try this simple exercise to reframe how you look at your stepchildren. Focus on the traits your stepchildren share with their dad. Get a notebook and write down at least three traits, either physical traits or personality characteristics. Add to the list periodically. When you notice something, write it down, so you can return to it later. My stepdaughter has been watching her dad cook for years, so when she got the opportunity to cook one night, she made the meal exactly like her dad makes it. She even used the same expressions. “How hungry are you?” she asked me earnestly, as she prepared to fill my plate. I found it endearing that she was emulating her dad so closely. She obviously looks up to him, and she has acquired his talent for cooking. Return to the list. The next time you’re feeling like you’re lumping your stepchildren in with their mother, take a look at the list that you’ve cultivated in your notebook. This will help you let go of negativity and focus on their positive traits. Overall, looking at your stepchildren’s positive attributes will help you appreciate them for who they are. You’ll be better able to connect with your stepchildren, and this will help you form your own relationship with them. How do you connect with your stepchildren? Which traits do they share with their dad? Share in the comments!